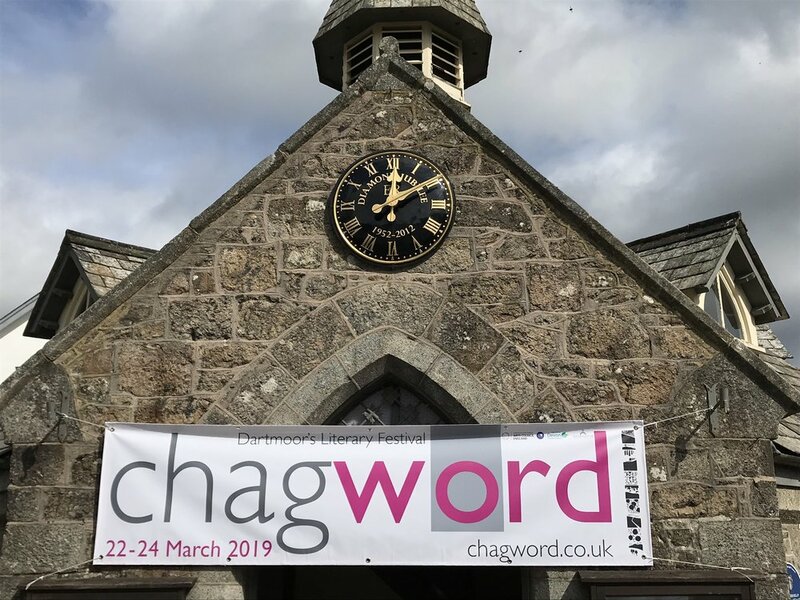 This weekend the Chagword festival was a real inspiration. It was great to hear so many authors talking about the craft of writing and their own experiences of working with words. On Sunday afternoon we displayed the ‘poem’ and asked people about their favourite poems. Some were very honest in telling us that they really didn’t like poetry at all. Others reached back to childhood to retrieve or partially retrieve a favourite verse. We had some great conversations, including with Betty Porter whose favourite poem was ‘The Cast Iron Shore’ a poem she wrote and had published, and which reflects on her childhood growing up in Liverpool. It was great to meet and chat to people from Finland and France as well as locals. 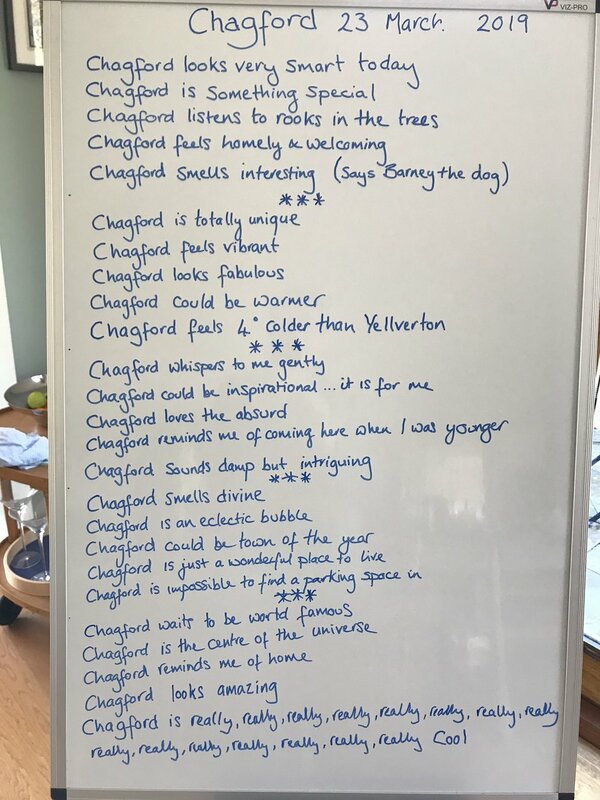 A list of the poems which are ‘Chagford Favourites’ can be found below….What’s your favourite poem? Older PostLooking after hens in the cold: Mrs Jacky Cluck’s feeling for snow.